Much talk has come out of China recently about their new sub capabilities, (by showing us their old ones) along with talks of nuclear attack plans on the United States. 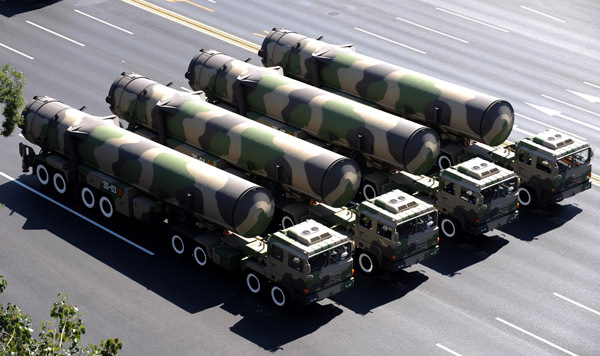 Washington Times Article on China’s nuclear preparations. So is this something we as preppers need to worry about? China claims “The 12 JL-2 nuclear warheads carried by one single Type 094 SSBN can kill and wound 5 million to 12 million Americans,” this undoubtedly is what they consider the casualties of a west coast attack. The truth is we really don’t know what they really are capable of. If you live on the west coast prudence dictates you should at least consider this type of attack when making your preps. If you live on the east coast don’t think you will be unaffected, since china also claims to have perfected ICBM’s capable of wiping out cities on the eastern seaboard. One of the charts that accompany these stories shows western fallout patterns and affected areas. These patterns are not accurate since they apparently forgot to take into consideration mountain ranges and how weather patterns are affected by them. Another thing to consider is that nuclear war is not the end all that we were taught by the do-gooders who want to save us all from nukes. According to in depth studies many more people will survive a nuclear attack than we are lead to believe. Dealing with decontamination and sickness will be our priorities. Although if the Chinese forgot to consider mountain ranges in their plans, there is a good chance that this is just some sort of saber rattling propaganda that will serve some political purpose for them at home or in their region. This is my guess. They are emboldened by the weakness displayed by the current regime in Washington and are trying to garner support for a new world order of their own. While I don’t think the threat is imminent you never know and as I said if you live in a possibly affected area strongly consider it when making your preps.